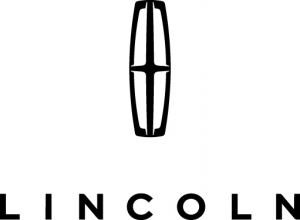 With such great unique features like a backup sensor, push button start, remote starter, backup camera, blind spot sensors, parking assistance, Bluetooth®, a navigation system, a leather interior, and dual climate control, you'll be excited to take this 2016 Lincoln Lincoln MKC AWD Reserve w/ Navigation for a ride. This One's on the market for $26,995. It also includes Complimentary roadside assistance is available 24 hours a day, seven days a week, 365 days a year. As part of our 200-point inspection, a vehicle history report is run to identify any vehicle that doesnt meet our standards. This vehicle also comes with 100,000 warranty miles, and 6 warranty years and has been subjected to a rigorous, 200 -point inspection for condition and appearance. Stay safe with this crossover awd's 4 out of 5 star crash test rating. Exhibiting a sleek gray exterior and an espresso interior, this vehicle won't be on the market for long. The power lumbar seats make driving long distances easier on your back. Keyless entry means you don't have to think twice about locking up. A simple click is all you need. Call today to schedule your test drive! Contact Information: Reineke Ford Lincoln of Lima, 1360 Greely Chapel Road, Lima, OH, 45804, Phone: (419) 223-3673, E-mail: matt.holtsberry@yahoo.com.